Have you been astonished because you woke up at the time when your class had already started? Did you hesitate when you chose your majors? Have you ever wondered about your future? How about professors who have already accomplished what some of us desire for our own future? Were they like us? Did they ever dream of their lives today? 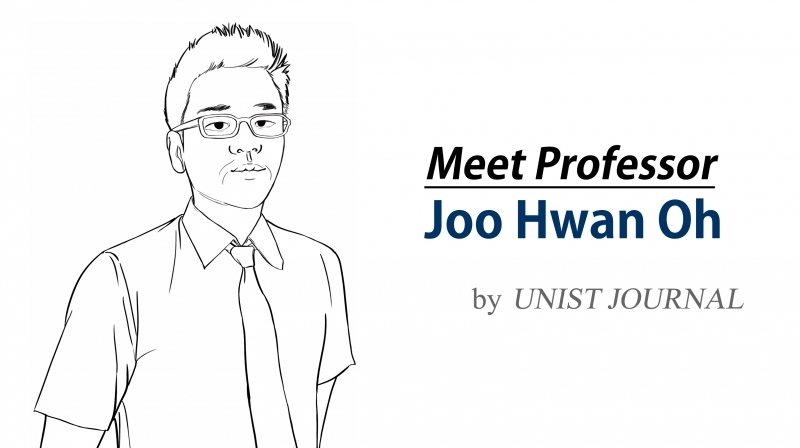 We interviewed Professor Joohwan Oh from the School of Mechanical Aerospace and Nuclear Engineering to find out. Q.Was studying at a graduate school and becoming a professor something that you always aimed to do, and were you ever hesitant about it? Getting into a graduate school was just another step for me, just like entering the university after graduating my high school. Yet my aim was not specifically to become a professor, but in broader terms, to learn more. I had this something that I wanted to study more. I thought that becoming a professor would give me more freedom in choosing my research topics, and even if I get interested in a new field yet cannot find time to do research on it myself, I could still assign it to my students. These conditions attracted me a lot and if it was a company that offered me the same options, then I might have gone to that company instead. I also considered the exemption from the military that I would have, but it was not a major factor in my decisions at all. Q.Students hope to discover what they would like to study further prior to graduation, yet not all of them make that discovery. How did that occur to you? I followed what I found curious. There used to be certain “These topics will not show up in the exam as you will learn about them in graduate school” moments in some of the lectures I took, which always made me wonder about them. In one case my professor was delivering a lecture regarding optimum design and briefly mentioned topology optimization, without getting into any details. I, though, found it interesting and wrote my bachelor’s thesis on it. So, I just followed wherever my curiosity led me. Q.Did you have any moment where you were tempted to give up? I had my most challenging time when I completed my doctorate, after which I had to decide between getting a job at a company and studying two more years to enter the lottery of becoming a professor. It was literally like scratch cards; one option was a single dish from a menu and the other was fifty percent chance of getting the entire menu, given that I waited for a long time. This was especially hard since not only had my friends already found jobs, but I was also married, so I had to become more realistic. It was really like a cliff suddenly appearing after an effortless walk in a meadow. Then an idea popped up in my mind. In fact, all the things I had been experiencing, even using spoons and chopsticks, were cliffs. I probably had so much trouble with using them when I was an infant. But then after years they were just simple tools that I used. So, all the challenges I had faced and suffered from had become sweet memories. All the easy paths would eventually fade into cliffs, and realizing this for me was the first step to face up to my cliffs. The only change was that I had learned that I always had to overcome numerous cliffs and make them into paths. So, I realized I could do it. It just happened. Now I am a professor, but I sometimes still get anxious with the question what if my choice was wrong. Well, I doubt if I will ever be able to escape this. I will always be walking on a thorny path for this is what having a job makes you face up to. You never cease struggling. Q.Several students commented that you rarely seem to get stressed. Do you have a workaround for stress? I do not get stressed and it might be since I expect nothing. People might think that I am relaxed for I usually smile, but actually work is so difficult for me such that I sometimes even think that my postdoctoral course was easier. I would never say this when I was a student. In my opinion, working hard and getting stressed are different. I usually think it is difficult and not it is stressful. Life is not a vending machine, so it does not provide you with success if you push some success button. Same with a failure button. Outcomes may change at any time. Everyone has an answer for how one should live, yet they do not seem confident in taking a step forward for they are afraid of the cliff. But it is all about taking that step. Still, I hope you do not worry until the time you really have to. Q.What kind of person do you aspire to become? I have never thought about my final goals really, never decided which title to strive for, or which accomplishment to tackle. Consider yourself as a freshman now – did you have the answers? When I was an undergraduate student, all the professors seemed omniscient, as if they knew everything. I found out that they did not, after entering the graduate school. However, I still was inspired by their attitudes while dealing with problems. I was getting angry while they were identifying and learning from their problems and mistakes. They did not seem to know everything, but they absolutely knew how to figure things out. So, no one turns into a professor from being a student in an instant. I still am a new professor who is not the finished article, and I want to keep studying. Steadily. Q.Do you have any words for students? First off, good luck with your final exams. Try to learn as much as you can from all your experiences. I played in a band when I was an undergraduate student. For some members, it was just about making beautiful memories while for some others, those were the days that proved that passion could keep one awake all night and help them manage their time efficiently. As for me, I have learned that lots of effort is required to perform on a stage. 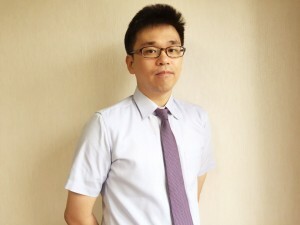 Then those stage experiences helped me a lot when I prepared a presentation for the interview to become a professor at UNIST. Many students come to me and ask questions like whether it is a good idea to take a leave of absence, or to take a certain course or not. Well, just do it, unless it will have an adverse effect on your life; and always acknowledge that your life depends on your actions alone.